Um, before I begin, please feel free to not read this post if you’re not a fan of inconsistency, because man, this is gonna be all over the place. I’ve got a lot on my mind, and I’m going to dump it all here and then run away so you’re left with it. Mmkay? Please read it. It’s only about 150 pages long, and it will make you snort laugh. 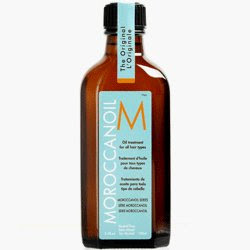 2) I’ve been using Moroccan Oil on my hair. And y’all. It is SO GREAT. I’ve never had softer or shinier hair in my life. You can only get it at certain salons or online, and it costs about $40 a bottle, but WAIT! A bottle will last you at least a year, provided you don’t have yeti hair. So instead of spending $6 or more a month on hair products at Target, you’re spending about $3.34 a month. And you get to have supermodel hair. Totally worth it. Just don’t use too much, or you’ll look like the cast of Seinfeld in that episode where their apartment complex installed low-flow shower heads. 3) I started writing a new book yesterday! I’m not sure how it’s going, though, so I’m posting my first little bit for y’all to read. Tell me what you think. I don’t know when I first suspected something was wrong. Maybe it was when all the screens on the seatbacks went out for no reason. Maybe the flight attendants’ overly cheerful expressions triggered a red flag inside my mind. My intuition keeps prickling, sending me signals that we should have landed by now. I look out the tiny window for some kind of reassurance, but there’s a thick carpet of clouds below us and I can’t see anything. For all I know, we flew over Los Angeles an hour ago. Stop it, I scold myself. You’re being ridiculous. It’s probably just taking longer than usual because of the weather. I glance back out the window and nearly faint in relief. We’ve passed the clouds, and below us are the lush hills of southern California. I emit a small chuckle of embarrassment. I really need to stop reading so many conspiracy theory books. I’m about twenty pages into my InStyle magazine when a guy in the fifth row shouts something. Everyone ignores him because, hey, there’s a lunatic on every plane. But then he shouts louder, and this time I understand what he says. Everyone in a window seat plasters their face to the Plexiglas. The whine of the engines hits a higher pitch and the plane accelerates. For five seconds, there is absolute silence. Then, as we all process the stretch of Pacific Ocean zooming away beneath us: Chaos. Obviously this is a first draft, but… initial reactions? I would love to hear what you think! I must try the Moroccan stuff. Can't get enough hair products! And. O.M.G! LOVE the new WIP! It had me hooked and I am dying for more!! Great work…can't wait to see more! I love how you are inconsistent!!! My favorite kind of posts!!! I loved your little snippet! My favorite part was when you said "Everyone ignores him because, hey, there’s a lunatic on every plane." it was brilliant, I like the MC personality!! Oh and thanks for the comment on Tuesday Twist, the third synopsis is my book and I wanted to see how my description was viewed, so I appreciate the feedback!!! Want to be more engrossed, that's something I can work on! That's a great start to the new work. You've got me hooked. And I too, loved the line about the maniac on the plane. Wow! Loving the sound of this work in progress! Keep at it, it sounds like it's going to be a really good one. Moroccan oil huh? I went red a year ago and my poor hair hasn't recovered yet from going back to my natural blond. I might try that! Thanks for the great comments, guys! I will keep working on it, for sure. I'll let you know how it goes! I so want to get Nightlite. 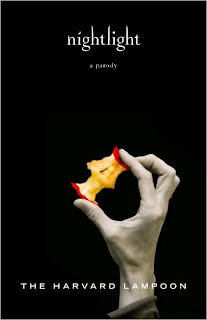 I'm a Twilight lover and LOVE a good parody! And that hair oil… ordering. right. now! The WIP… LOVE IT! Keep working on it. It sounds very, very, very interesting. I would definitely keep reading! Love the WIP teaser! Being completely honest, I am already hooked and would read more! Oh I bought Nightlight because it was cracking me up in the store but I need to actually sit down and read it! Also, post pictures of your hair, sell it baby. I might want a bottle. Oh, man. The author of Nightlight has a great sense of humor. Congrats on finding a great literary agent!! Thanks everyone! Yes, Nightlight really is great – definitely gave me a good laugh! And I do love my oil! Ha ha! Thanks for stopping by, everybody! I definitely want to continue reading the WIP, so keep it up! What a tantalizing glimpse into your new WIP! I want to read more. Keep writing!!! Penelope: YES! It is great! And thank you, I will keep it up. It solidly hooked me. I thought it was laid out and paced excellently! I have to leave it to you to decide if present tense is essential. For me, it always indicates that the immediacy is an essential element of the story. Like in hrillers, for example. It's exciting to start something new! I've never heard of this oil, but I'm willing to try it. Randomosity is the spice of life! I love it although that moroccan oil…I can't lay my hands on it anywhere!! And you knocked me out with that opening passage. The tension crept up beautiful and I was like…Wha…is that it!? Not fair! just going back and reading a few blog posts that i've missed…you are using moroccan oil!! (i constantly, accidentally call it mongolian oil…wonder what my hair would look like if i used that?) still using mine, and i got it almost a year ago, so you are spot on with your estimation. and i'm thinking i need to read that parody…might be right up my alley. see you next week!! !